Editor's Note: This Giveaway has ended. Thanks to all of you who entered! Look for a new Flattering50 Giveaway in the future. 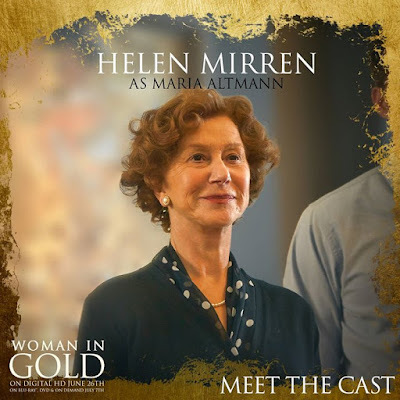 In “Woman in Gold,” Academy Award winner Helen Mirren, 69, portrays Maria Altmann, a proud Austrian Jewish woman who fled the Nazis during World War II and relocated to California. 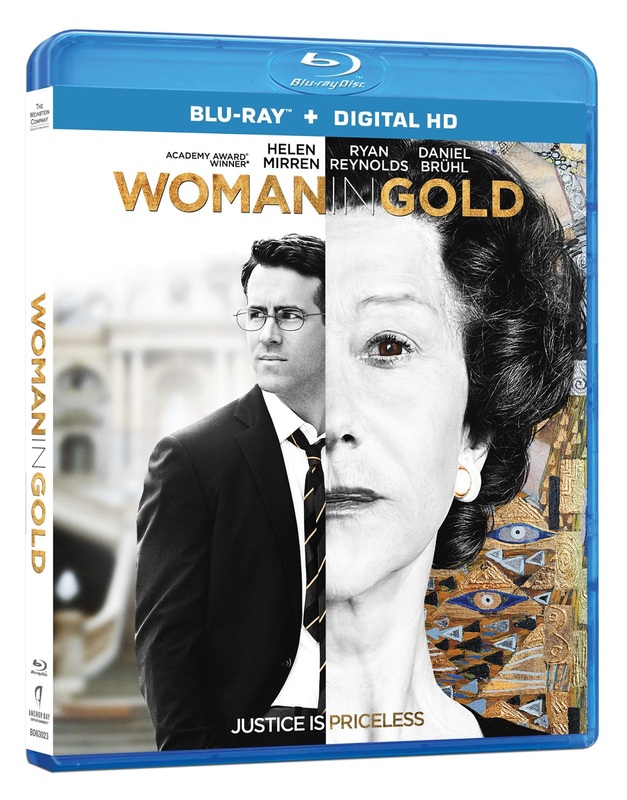 Upon the death of her sister, Maria takes on a legal battle, with the help from an inexperienced lawyer (Ryan Reynolds), to regain possession of Gustav Klimt’s “Portrait of Adele Bloch-Bauer I,” an artwork that was stolen from her family by the Nazis. The painting’s subject, Adele, was Maria’s aunt. Ms. Mirren gives a fabulous performance of a strong older woman who wishes to reclaim her heritage and seek justice. $50 Visa Gift Card to mark her moment in history. 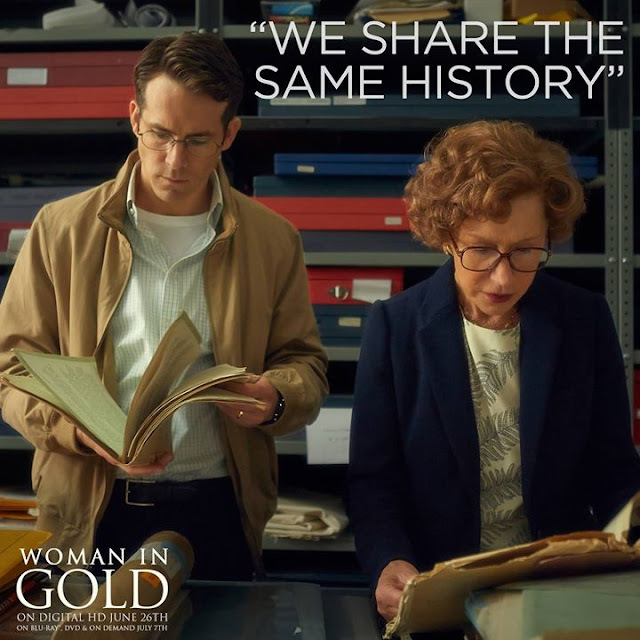 For those of you, like me, who consider Ms. Mirren a fabulous role model for women of a certain age, "Woman in Gold' will not disappoint. If you haven't seen the movie, you can get a glimpse by watching the trailer below. One lucky Flattering50 reader will have an opportunity to see Ms. Mirren's gold performance either for the first time or again on Blu-ray. Plus, the winner will receive a $50 Visa Gift Card to celebrate her moment in history. This is a prize package valued at $89.99. All entries must be received no later than Tuesday, July 21st, 2015 11:59 PM EST.